The economic slowdown in the Western world, coupled with the positive economic outlook in many African countries, is paving the way for Africa’s diasporic talent to return to their homelands. Millions of people, many of them highly trained professionals, are known to have left Nigeria since the 1970s, after the civil war that erupted over the attempted secession of Biafra as an independent state. Nigeria, which is Africa’s biggest economy, is one of the countries where the return migration trend is most visible. According to the latest Human Capital Report conducted by the World Economic Forum, Nigeria ranked 86 in 2013 for retaining educated and talented employees. This is an improvement on position 112 in 2008, the time when the Western world was hit by the financial crisis. Thanks to Nigeria’s economic performance in the last decade, the biggest city Lagos is now welcoming thousands of new, yet old residents. 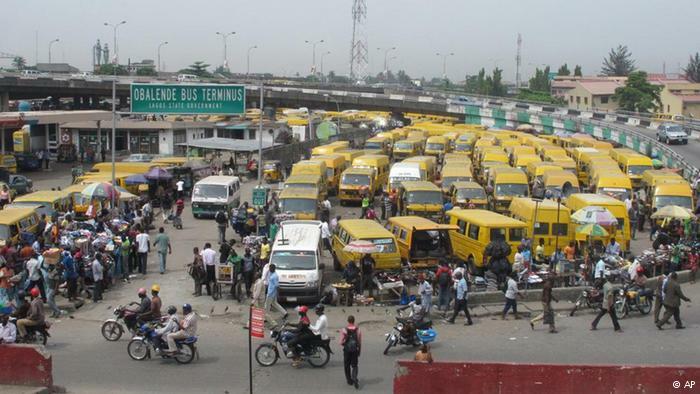 These days, shopping malls, parks and business centers of Lagos are buzzing with the voices of returnees. Tolu Ogunlesi, a journalist from Lagos, believes that a growing middle class lifestyle in Nigeria makes it easier for the diasporic community to contemplate moving back. A report entitled “Understanding Africa’s middle class,” published by the Standard Bank earlier this year revealed that Nigeria’s middle class jumped six-fold between 2000 and 2014. This means 23 million people in the country are now considered to be middle class, consuming from $23 (18.4 euros) to $115 a day. This number is predicted to rise to 40 million by 2030. Nigeria’s returnee community has been growing so fast that Adabara Abdullahi, a London-educated banker, established “Move Back To Nigeria,” an online community for returnees. “After 2008, there was simply a need for a platform that returnees can support each other, and bridge the gap between the diaspora and home,” Abdullahi told DW. “In fact, the number one reason people return back to Nigeria is the sense of belonging and purpose. Most returnees feel that they can do better things in their societies. People who understand both Nigeria and other countries can make a big difference,” Abdullahi said. Many returnees do indeed come back with new solutions. After completing his studies at Harvard Business School, Tomiwa Igun and some friends established the organization “Young African MBAs” with the aim of closing the gap of management talent in Africa. Now boasting thousands of members, the organization fosters ties between the continent’s young talent and also assists its members in career transitioning to Africa. An estimated 11 to 17 million Nigerians still live abroad. But the tide is turning and many seem undeterred by the violence shaking the country as the government struggles to contain the Boko Haram insurgency. This story appeared on Deutsche Welle.